GlamCam is pleased to announce the arrival of a fresh face on the scene in our JHB offices. Welcome to Daniel De Wit, our new, legendary Account Manager, Sales Guy and office jokester all rolled into one. You need a little humour injected into everyday, which is why Dan the man became the perfect fit for our creative bunch of whacky wonderfuls. 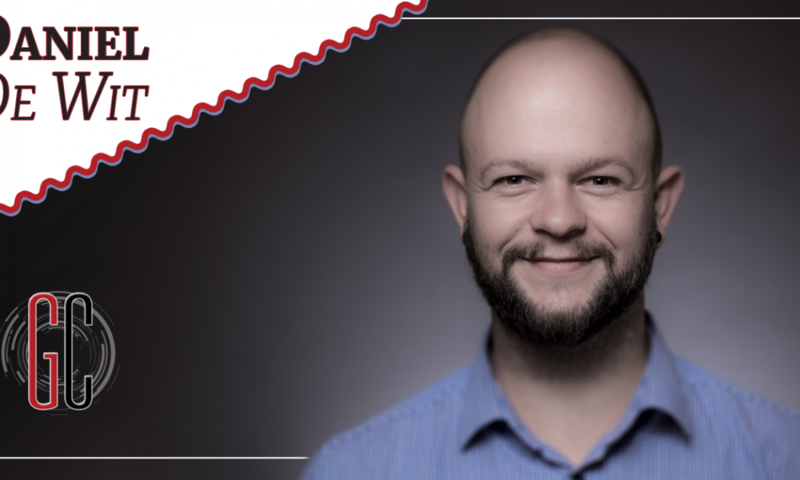 Daniel has a background in photography, which is quite a big plus when working with photographic activations and experiential campaigns on a daily basis. He is definitely a people person, a problem solver and he has defined a clear and direct line to sales success! He is quite certain that his looks also played a part in him getting the job, but we’re not ready to divulge on our thoughts on that one just yet! One thing we know is that we’re proud to have Dan our pirate comedian aboard ship, and he is quite settled already as this is definitely where he’s meant to be. Where Does Dan See GlamCam Headed? We see it too, Dan. With open eyes! If there was one way we could repay Dan for his tireless wit and enthusiastic charm, it would certainly be by buying a company car that he can use to run errands. We’re not quite sure that the requested Maserati will be approved by Finance, but it never hurts to ask! Get to know Dan the next time you work on a job with us. We’re on the other end of the contact form! Get in touch today! We all had very limited time to pull this off but we did it! One of the most smoothly run events to date and I have you and your team to thank for your contribution.